JN COLON: Free paranormal romance this week. Free paranormal romance this week. 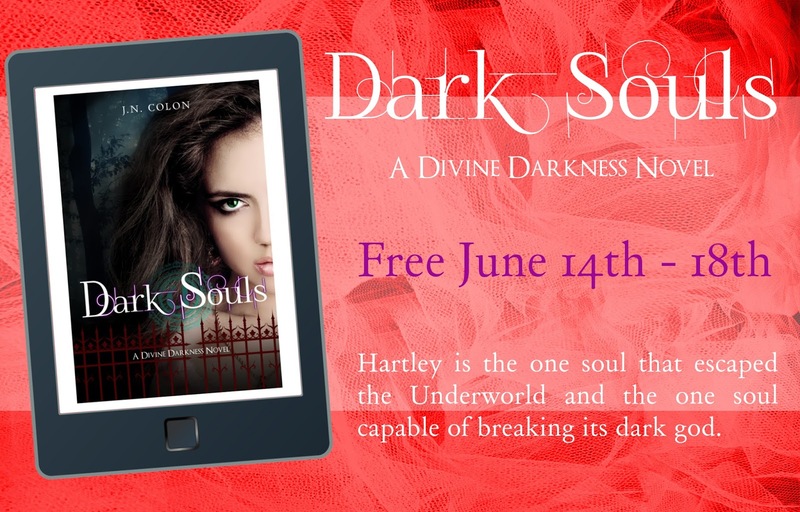 Get the first book in the Divine Darkness series for FREE. A dark romance with an even darker Greek god whose fiery temper rivals his sudden obsession of one hauntingly beautiful girl. Seventeen year old Hartley Walker has returned from a brush with death and no one is able to melt the ice from her insides… except the sinfully gorgeous god of the hottest place in the universe. Hayden—Hades and hated god of the Underworld—didn’t expect to fall for a mysterious beauty full of secrets when he came to capture the dark, treacherous souls stolen from his domain. Because of his former and infamous attempt at love and her slipping grip on life before death Hayden and Hartley deny the sparking chemistry between them. 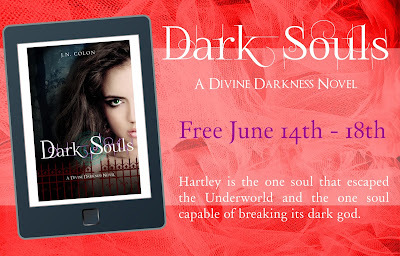 But when he realizes Hartley’s secrets are darker than he thought and evil souls are drawn to her like a beacon he vows to protect her—even if it means risking their hearts. Just when they think they have it all figured out fate deals them a blow that might set them both ablaze in Underworld fire forever.